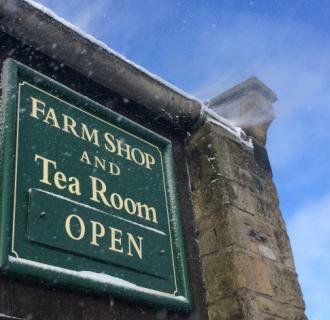 Enjoy traditional home baked cooking and a wide range of refreshments at our farmhouse tea room, and delight in the splendid views of Malhamdale. Food is prepared daily from the finest and freshest local ingredients. 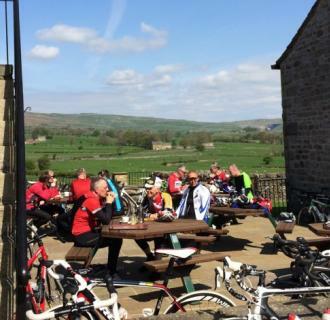 We offer a warm welcome to walkers and cyclists – you can buy your lunch or top-up your picnics with food from the shop and tea room. 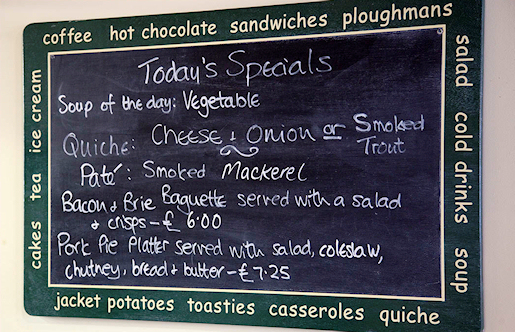 Our seasonal specials board is always worth a look, delicious dishes cooked from the season's best produce. When the weather's cold, come and enjoy our winter warmers; a meaty casserole served in a Yorkshire pudding or our hearty homemade soups – parsnip and lemon is one of our favourites. And if you prefer something lighter, try our special Yorkshire Chorizo, mozzarella and spinach wrap or a Farmhouse platter. We are proud of our home-baked quiches: from the delicious Town End double cheese filling to the delicate smoked trout. Or try our pork pie platter – with a range of toppings to make your mouth water. Whatever your choice, you won't leave us hungry. And to slake your thirst, we sell a range of drinks including Taylor's coffee and tea, home-made fruit smoothies, milkshakes and Fentiman's botanically brewed drinks. Bringing the kids to the Dales? We prepare smaller portions for smaller mouths at lower prices and we serve a children's fish and chip special. And after you've enjoyed your meal, you'll find most ingredients used in our dishes available to buy in the farm shop.